Halve the tomatoes and place them in an ovenproof dish with the cut side facing up. Season with oil, salt and oregano. Bake until the tomatoes are soft and golden. Meanwhile, Cook the green beans in boiling salted water. 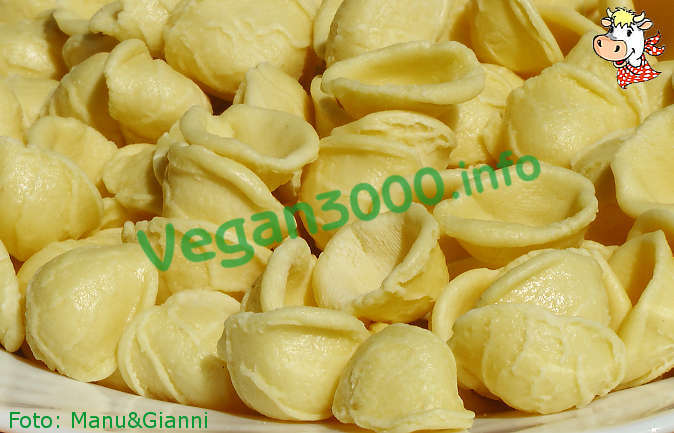 When they are soft, pour in water even the orecchiette and bring to cooking. Drain and season with tomatoes. Pour the mixture into the baking dish and go into the oven for a few minutes. Serve by adding a sprinkling of nutritional yeast.